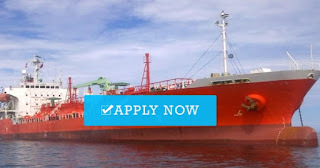 Seaman job vacancy recruitment crew for oil chemical tanker ship joining this week in Port of Dubai rank bosun, pumpman, cook. Vessel Details will be provided after CV. All joining formalities are done by RPSL Company. 0 Response to "Urgent Pumpman, Bosun, Cook For Chemical Tanker Ship"